Police say a man poured lighter fluid on a secured employee booth at a Manchester, New Hampshire, gas station, threatening a worker that he would ignite it if she failed to give him cash. The worked at Speedway Gas emptied the cash register and handed it to the man at about 12:10 a.m. Tuesday. Police are looking for the man, described as 5-foot-8, wearing a blue coat, black ski mask and light-colored gloves. Anyone with information is asked to call: (603) 668-8711 or (603) 624-4040. 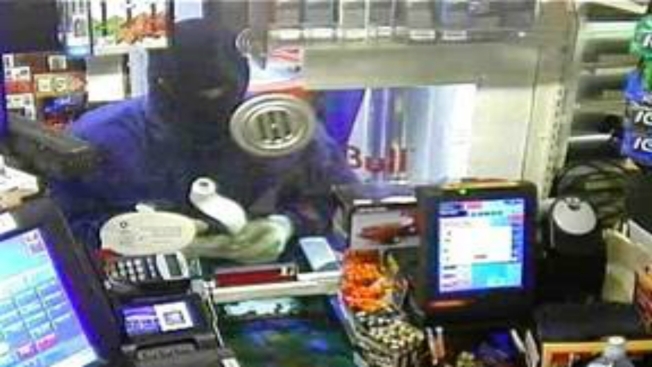 You may be eligible for a cash reward if your crime tip leads to the identification and arrest of the person responsible for the robbery.